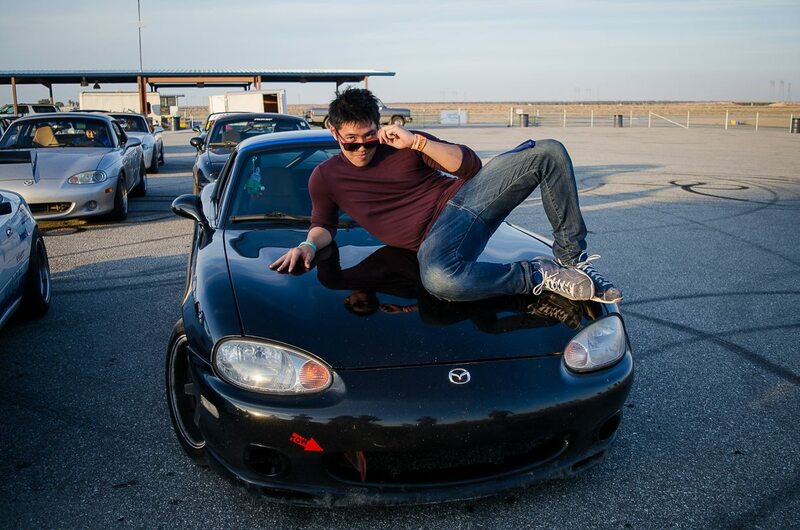 In the first Roadster Cup Driver Spotlight, we’re going to meet Street class driver, part time male model, and most likely to steal yo girl, Alex Cao! Caoboy, reversecaoboy, cow…any variation of the bovine variety. When did you get your Miata and is there a story behind it? I bought this NB in November of 2012. It’s my 4th Miata. I hate these cars. Long story short I crashed my NA, and was looking for another suitable car, and somehow ended up in a stupid miata again. I bought the car with most of the parts on it. It came with Koyo radiator, Tein Flex coilovers, hardtop,Wilwood calipers, and a roll bar. The only things I’ve changed are the wheels, exhaust, and adding a brake proportioning valve. My first track event was in 2007. But I haven’t been consistently driving until the last 2 years. For how long, or how many times have you competed in the Roadster Cup? I ran maybe 1 or 2 events in 2013, I ran 4 events in 2014. It was tough to make a majority of the events because I was living in Nor Cal up until recently. The main plan is to not blow up this engine too. Lol. But I would like to upgrade to a clutch type diff sometime soon. Probably a Civic. I’m too poor to afford anything else. Thunderhill (any configuration is fine) or Sonoma! I would like to finish top 3 for the season overall, make new friends, and to have the car last the entire season. Favorite track you’ve driven so far? I have driven in the SpeedSF Challenge and Roadster Cup as well as the inaugural season of Speed Ventures Miata Challenge. 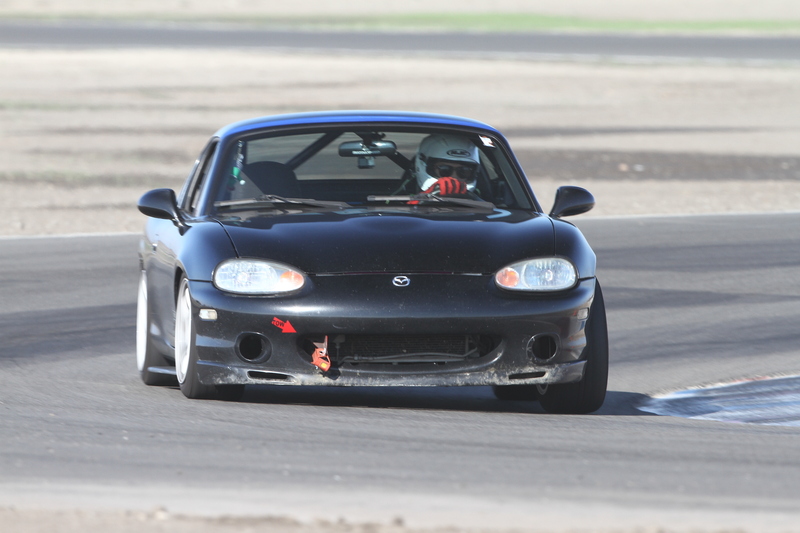 Check out Alex’s winning lap from December 6th at Buttonwillow. See more of Alex’s videos on his YouTube channel. I’d like to thank Alex for taking the time to answer my questions and you for taking the time to read. Stay tuned for more Driver Spotlights!